The WCA approved Mat by Speed Stacks features a new, smaller shape that fits better onto smaller tables (especially when using multiple Mats on round tables) and also features the new Timer mounting system that eliminates torn out holes in the Mats. This mat is NOT compatible with the QJ Timer. My son is 15 and loves the mat. 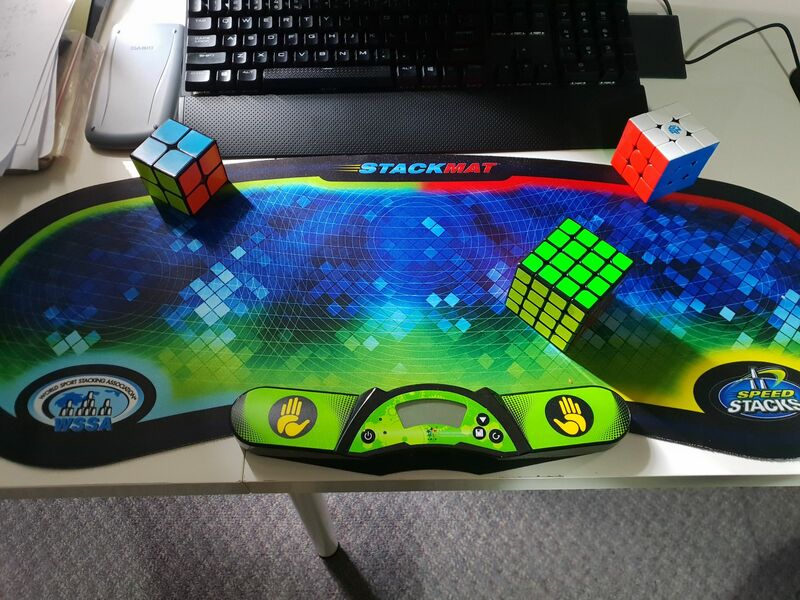 Timer fits perfect and makes it easier to capture times while the protection of the mat prevents damage to the cube. Great product. Great product quick shipment. Satisfied!